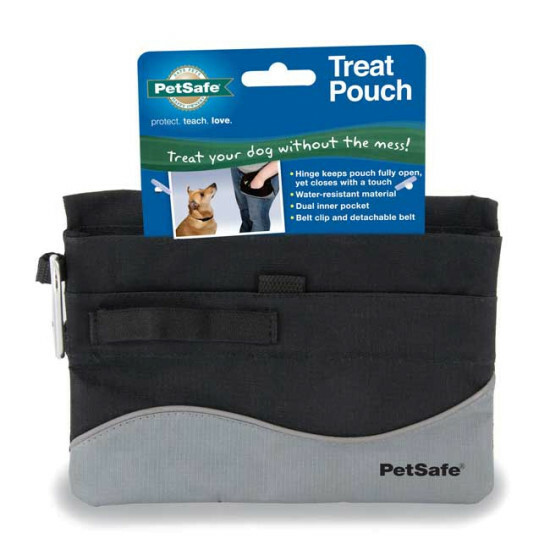 The Mini Treat Pouch contains the same features as the Treat Pouch Sport, but is 25% smaller! Complete with handy pockets, waterproof and stain-resistant materials, it is the perfect size for the dog park or training on the go! Divided inner pocket to separate treats. Carabiner for attaching PetSafe® Clik-R®, keys, whistle, and more!